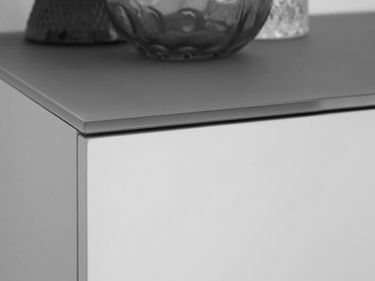 Part of our exclusive frosted glass Eve range, the Eve Compact Grey Glass and Matt Grey Sideboard will add a crisp and modern edge to any room in your home. 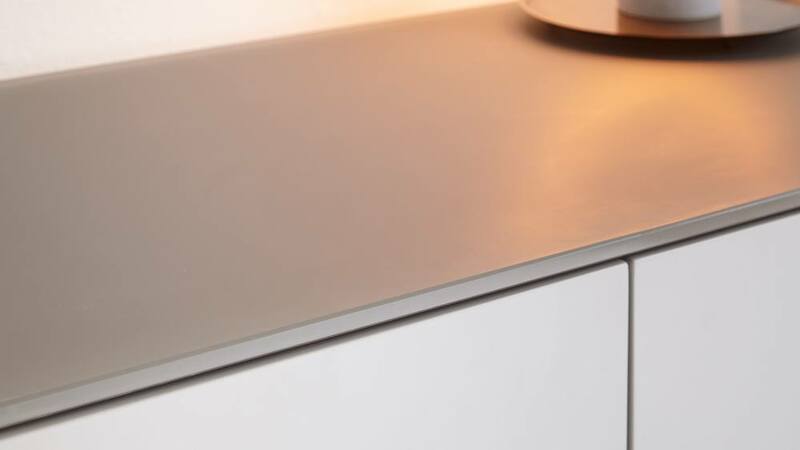 Our designers have paired a smooth frosted glass top with a soft looking matt finish and brushed stainless steel, all to create a sideboard that's not only practical but also offers a really premium feel. 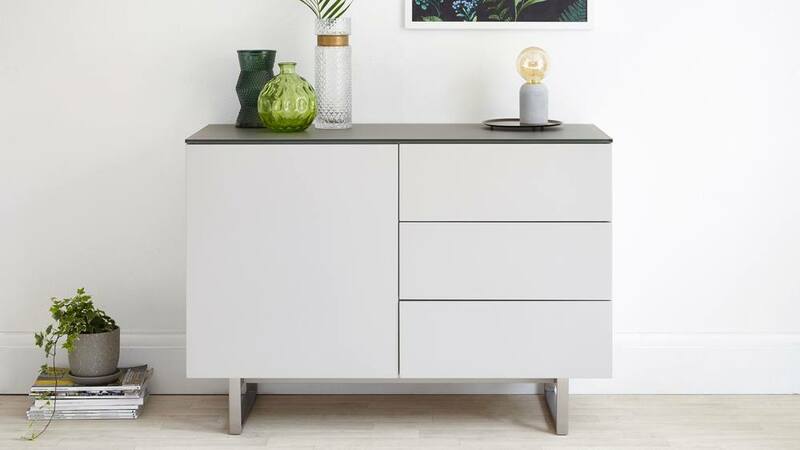 For handy storage, this modern compact sideboard has one cupboard and three equally sized drawers which are all operated with push open mechanisms, keeping the silhouette crisp and minimalist. 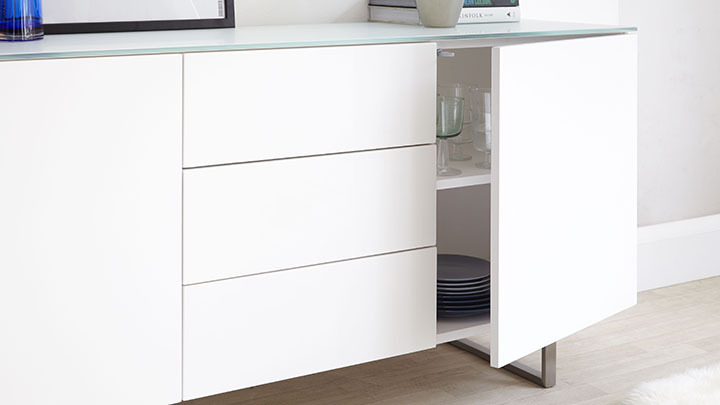 The shelf inside the cupboard is adjustable, allowing for you to move the position up or down depending what you need to tuck away. The glass we've used for our Eve range is, like all of our glass, British Standard tempered safety glass with soft bevelled edges. This means that the glass is strong, sturdy and safe for you and your family. 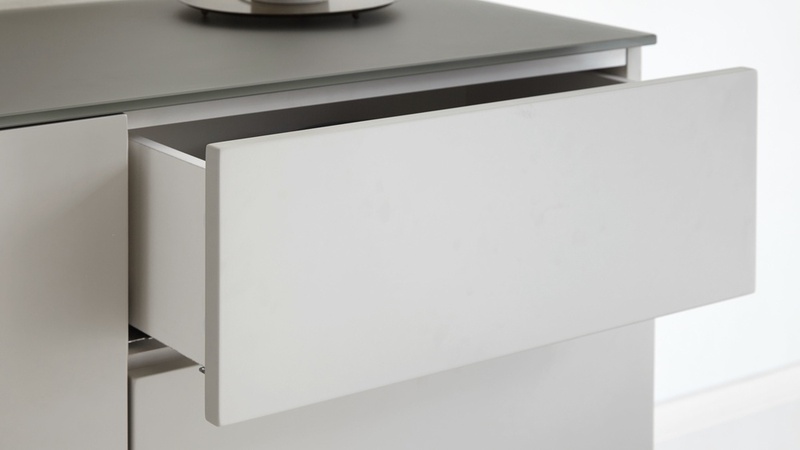 The top surface of the sideboard is 10mm thick grey frosted glass. The advantage of using a frosted finish is that it won't chip or peel off, meaning it is an integral part of the glass with a really soft, tactile and light diffusing quality. Frosted glass has a matt appearance and a unique absorbing look. Our customers love it because it doesn't show fingerprints, taking away the high maintenance of cleaning and polishing that can be associated with more reflective finishes. 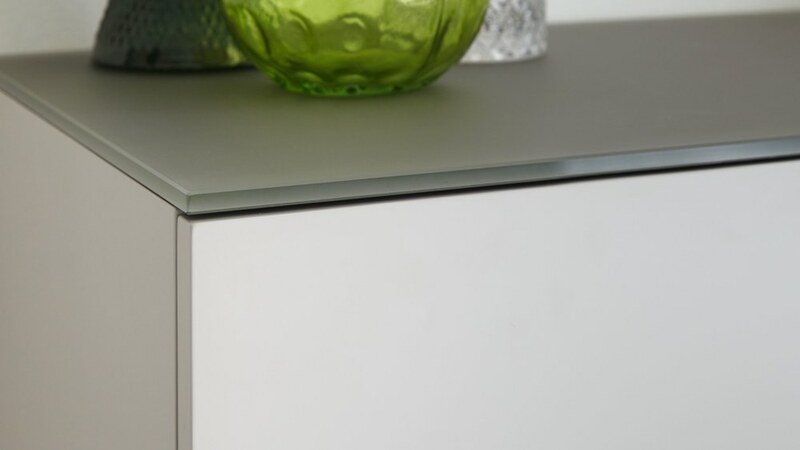 The loop style legs of this sideboard are a softly brushed stainless steel which not only adds to the overall matt look of the piece, but also makes the Eve sideboard really easy to coordinate with other items in your existing interior. All of our Eve sideboards come almost fully assembled. The only thing you have to do is attach the legs to the base which is really easy, and all the parts are provided. This is so that you get that out-of-the-box wow factor without the fuss of assembling furniture. All you have to do is decide where to put it! 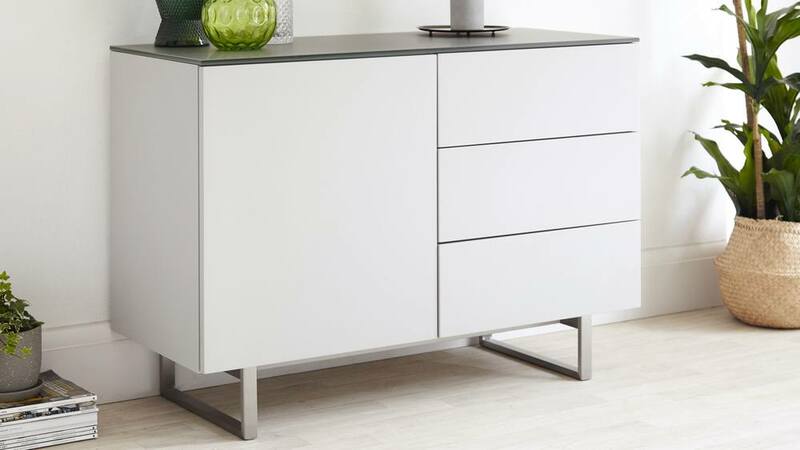 With designer style and quality at its heart, the Eve Compact Frosted Grey Glass and Matt Grey Sideboard is a great choice if you're looking to add a stylish and handy storage piece to your home. After a different colour? 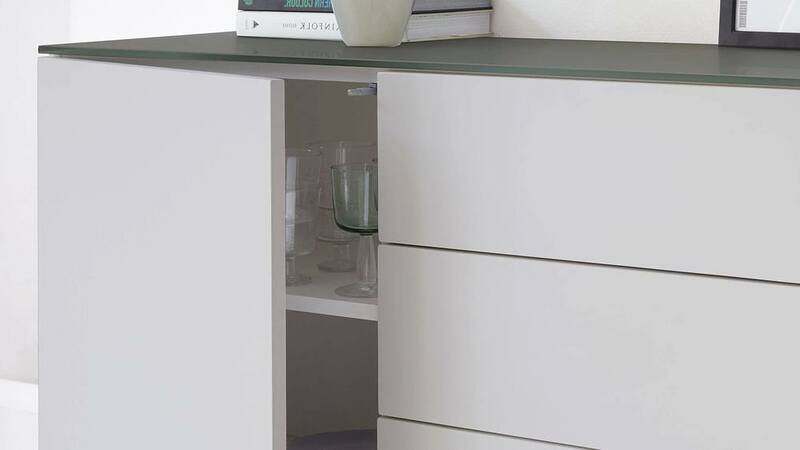 We also have the Eve Compact Frosted White Glass and Matt White Sideboard available. The Eve Sideboard is a true definition of contemporary coordination with its understated style and soft to the touch matt surface. 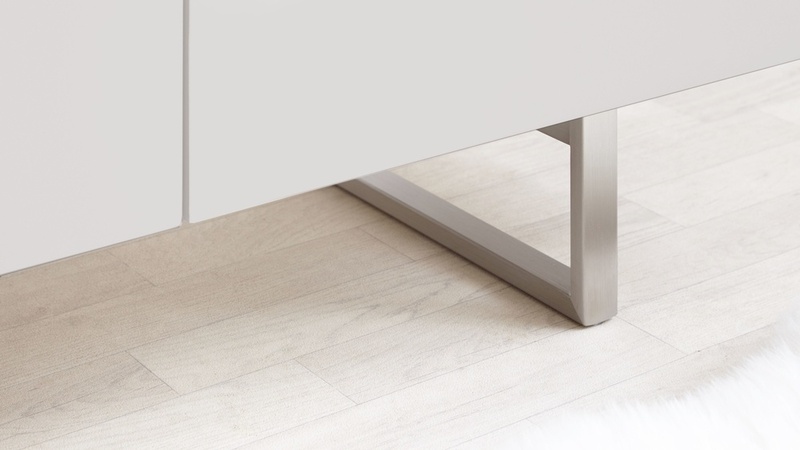 The brushed stainless steel frame combined with a frosted glass top gives this sideboard such a sleek yet soft overall look, while its compact size makes it incredibly versatile. This inexpensive sideboard will instantly add a calm and cohesive look and feel to whichever space you choose to style this piece in your home.